Today, 8 March is International Women’s Day. Read our latest article on ARAP and gender equality in Ghana's fight against corruption. The 2018 Corruption Perception Index (CPI) was released worldwide on 29 January 2019, scoring and ranking 180 countries and territories by their perceived levels of corruption. 9 December is International Anti-Corruption Day. To mark the occasion, a week of activities were organised in Ghana to take the fight against corruption to the next level. A digital tool for filing complaints relating to the Judicial Service was launched during Ghana’s 2018 Anti-Corruption Week celebrations. Today is International Women’s Day. Celebrated each year on 8 March, it is a global celebration of the social, economic, cultural and political achievements of women. During ARAP’s second year in Ghana, the Programme supported almost 60 activities, organised alongside direct and indirect stakeholder organisations. Today in Accra, ARAP supported the Ghana Police Service’s launch of the Revised Service Instructions and presentation of the Police Communication and Public Education Strategy. 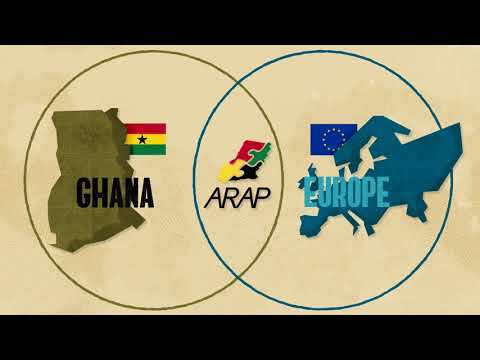 Take a look at ARAP's Changing Lives video which shows why and how the European Union is supporting and working alongside the Government of Ghana and key national stakeholders on accountability, rule of law and anti-corruption throughout the country.